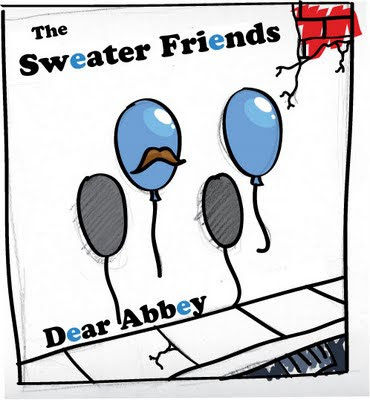 So in another effort to explain my blog absence, I wanted to share the latest release from my band The Sweater Friends. Jake and I have been working on this project for the past few months along side our full length album we plan to tackle this year. A big chunck of my December was devoted to this EP. Here's a link to our bandcamp website where you can listen to all our music and download tracks from the new EP and our last full length, Everyone We Know. Also check out the awesome cover art our friend Nate Call put together for us. I don't really know what else to say other than I'm in love with this set of tracks. This EP is easily the most personal set of music I've ever been involved with. I think I'll save the back stories for the songs I helped write for another time (and probably a post on the band website) but for now, please just go check it out. I would love to hear what you think. Jake did post a few explainations for the songs on the Sweater Frends blog. Read it here.